This fairytale is about Amanor, Gaghant Bab, the 12 Khlvliks who accompany him as well as the Aralezes from which they nourish their life. Thanks to Shoushanik's faith, a little stone becomes the medium through which Gaghant Bab returns to Armenia, bringing with him seven Counsel ktsiks, through which he remedies people's attitude towards one another and towards nature. 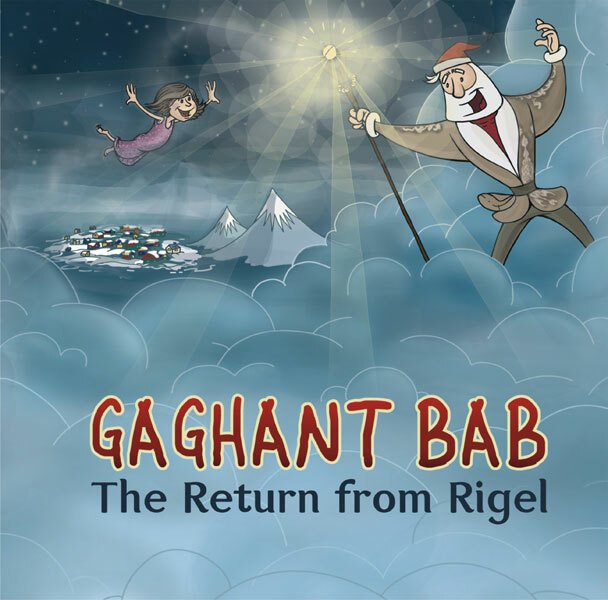 The character of Gaghant Bab is founded on ethnographic references and adapted to reflect our contemporary lives. This fairy tale is also available in Armenian, Russian, and French.